Carly hosts her own home-grown web show, iCarly. She lives with her twenty-something brother/guardian Spencer and produces her Web casts from a makeshift third-floor loft studio. Grappling with adolescence, she never aimed to gain fame as a rising star/underground celebrity to kids. As events unfold in the pilot, it all happens by accident when a teacher puts her in charge of the school talent show. She and her sassy best bud Sam turn the audition process into a show, which Carly's tech savvy smitten friend Freddy tapes - including their hilarious banter and great chemistry - and posts on the Web without telling the girls. The on-line audience clamors for more, and a pop phenomenon blooms, with Carly and sidekick Sam's regular Web casts ultimately featuring everything from comedy sketches and talent contests to interviews, recipes, and problem-solving. 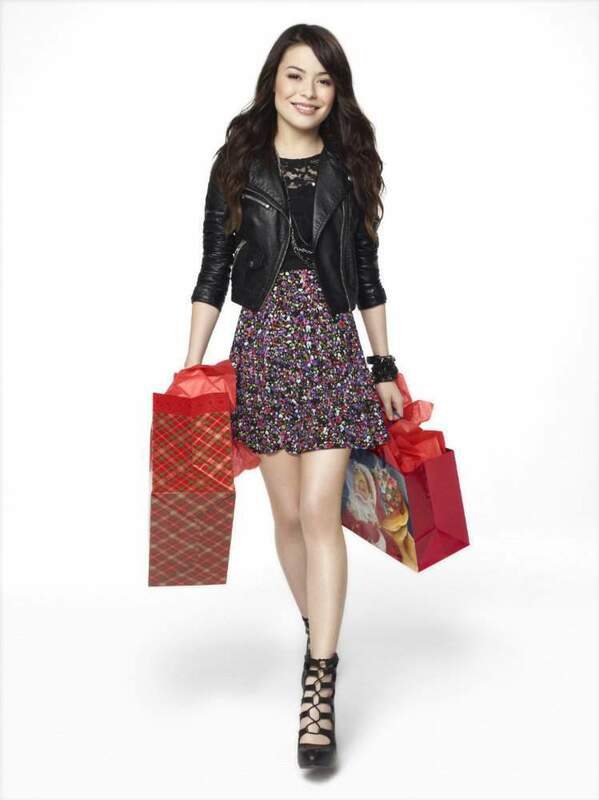 Carly Shay is a 13-year-old girl who lives with her 26-year-old brother in an artist's loft in Seattle. 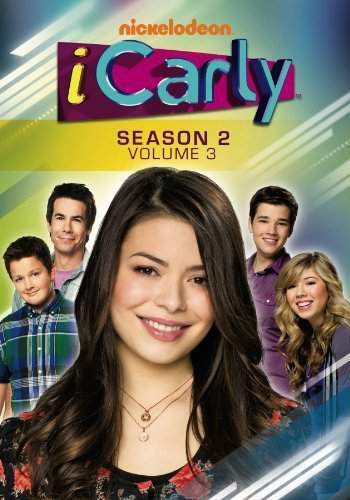 Her life is normal, until her and her friends Sam and Freddie start a web show called iCarly. It starts out when their teacher asks them to record auditions for the school talent show, but wouldn't let any of the kids they suggested be in the show. This led to them deciding to create a web show just for kids with strange talents. 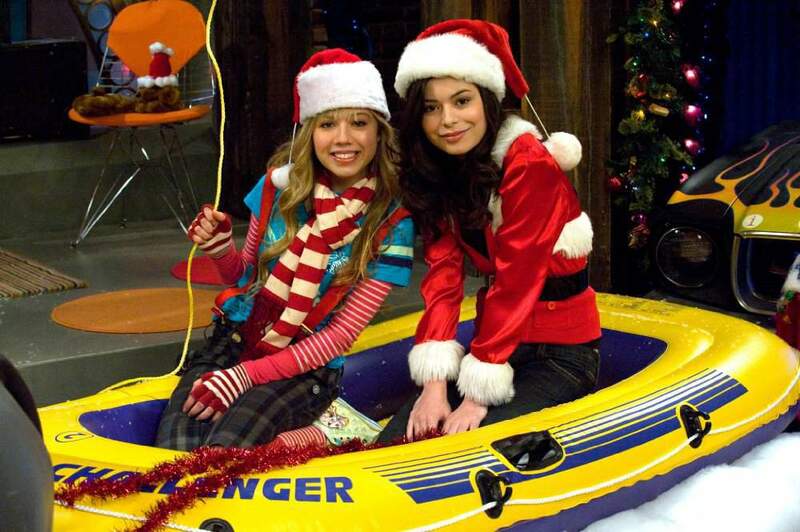 Carly and Sam compete with Freddie and Spencer to see which team can increase the number of hits on Carly's website, using the most elaborate techniques available to each team. The losers have to touch the wart of the Bushwell Apartment doorman, Lewbert - a man that Carly & Sam are convinced is the meanest man alive. Judging from their hidden camera in the lobby of Carly's apartment building, it's easy to understand why they hate him. After enduring Ms. Briggs' lesson on traditional Scottish folk dancing, Carly and Sam call for their viewers to send videos of their own dance routines. Soon enough, the site is filled with so many video files for them to review that it starts to go to their heads. Jake Krandle, one of the cutest boys at Ridgeway Middle School breaks up with his girlfriend, and all the girls at school want a piece of him. Carly thinks she'll get just that when she invites him on her web-show to perform some songs he wrote. 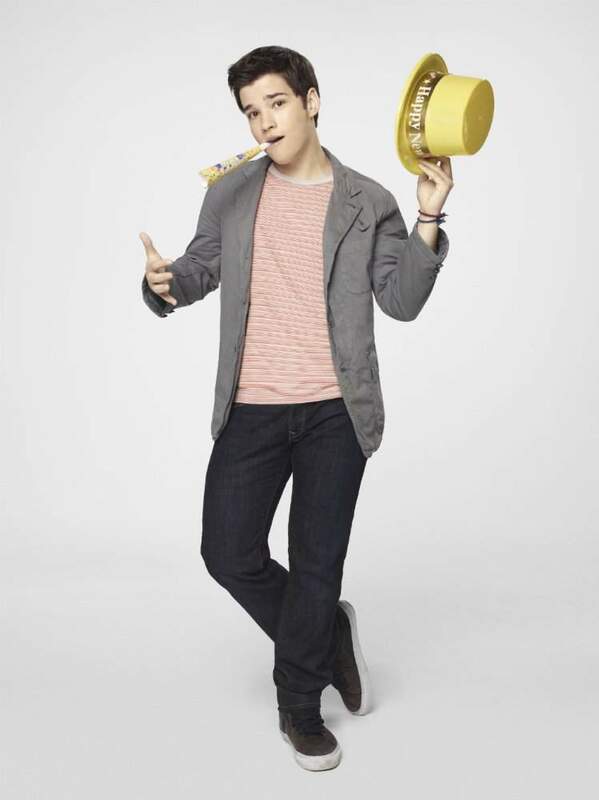 But during a rehearsal, Jake is found to be a horrible singer, and Carly has to struggle to convince an already jealous Freddie to digitally enhance his voice. A tip from a potential fan prompts Carly to seek a review of her website from another site called "Nevelocity.com." 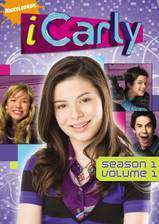 The webmaster, turns out to be an 11-year-old super-genius boy named Nevel Papperman, who seeks not only a review of her site, but the same thing from Carly that Freddie has been trying to get since he met her. When she spurns his advances, he trashes the show. 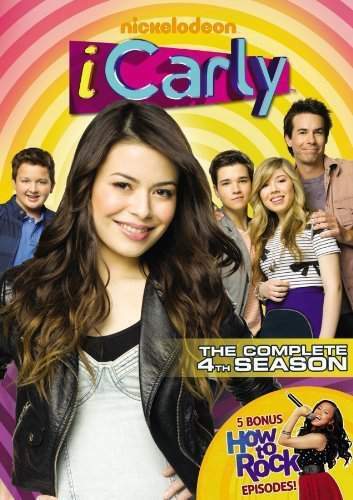 The only thing that can save it, is for Carly, Freddie, and Sam to persuade him to write an honest review. Carly, Sam, and Freddie shoot their Halloween web cast from an apartment that is rumored to be haunted. When creepy things start happening, the friends worry that the ghost rumors just might be true. Meanwhile, Spencer forgets to buy Halloween candy, and he ends up giving children odd and random objects, which leads them to the point of rolling him down the ocean with him inside a giant pumpkin that he carved. During the show, Sam shows viewers how to pull Halloween pranks using masks. Nevel Papperman(see "iNevel," Episode #1.6) is back, and instead of trashing iCarly in his articles, he has directly sabotaged the website itself. Meanwhile Spencer persuades the Plain White T's to perform on Carly's show as a favor for preventing lead singer Tom Higgenson from being hit by a falling sign at the mall. But how do they expect the band to perform on a show nobody can see? A ridiculous technicality costs Carly her streak of straight A's. The next day as Sam is being punished, she manages to fix Carly's grades with the school computers(and for some reason, Freddie's), and makes her promise not to tell anybody. Because Sam's scheme involves Freddie, Carly decided to tell only him about it, and Carly can't decide whether the guilt over Sam's amateur hacking or Freddie's sophisticated effort to undo the fix will gnaw away at her conscience first. Spencer is demoralized when his artistic idol Harry Joyner gives a bad review of his work. It's up to his little sister and her web show to bring him out of his funk and keep his artistic ambitions going, otherwise he may give them up for good. Freddie makes a bet with Sam that she can't go through life without insulting him, which is driving her almost as crazy as her mother. Carly, Sam, and Freddie get a cash-boost for their show when a shoe company gets them to promote a trendy new pair of shoes. The trouble is that the shoes are extraordinarily bad, and the backlash they get at school and on the web hits them hard. It doesn't help that they find themselves unable to break out of their contract with the shoe company... or are they? 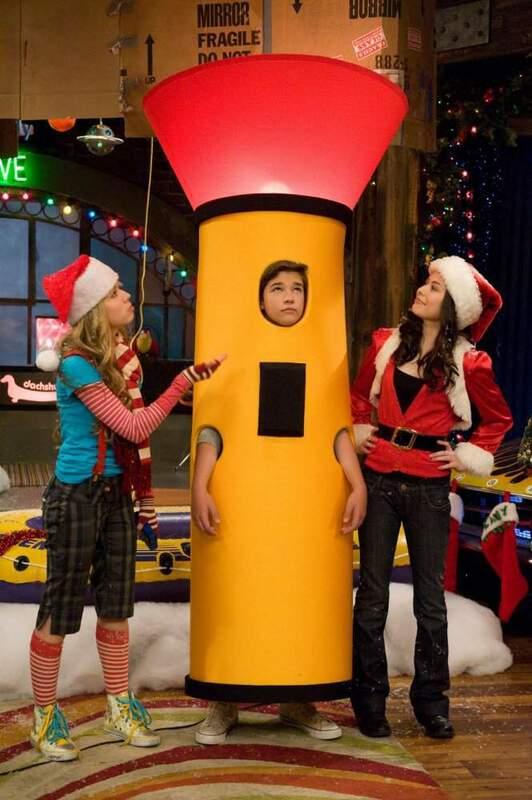 Plans for the landmark 50th web cast of iCarly are at risk of being curtailed when Sam gets detention. Realizing she can't do the show without her co-host, Carly and Freddie try to get in trouble themselves, so they can do the live web cast from their school's detention room. However, deliberately trying to get detention proves to be far more difficult than Carly can imagine, and even harder for Freddie. The Seattle Police Department uses Carly and Spencer's apartment for surveillance when a suspected video pirate is seen in the background of an iCarly webcast. One of the cops turns out to be a former bully that Spencer knew at summer camp, who sadly hasn't change that much since he was a kid. 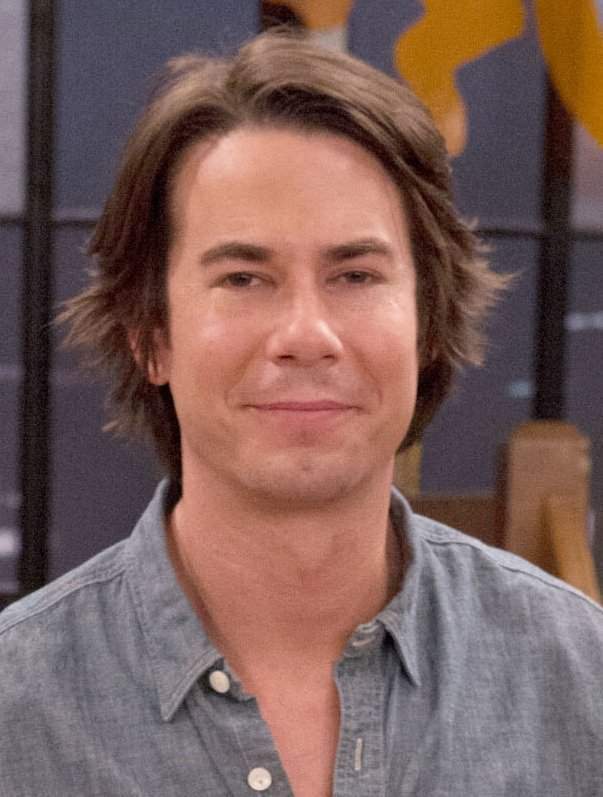 Realizing that his time with Carly and Sam has become too girly(despite his lingering crush on Carly), Freddie seeks some "guy time" with Spencer, which happens to be a fencing class for which Freddie turns out to be quite the swordsman. During this period, Freddie gets caught up in the rivalry between Spencer and a snobbish posse of fencers lead by Doug Toder, and finds himself competing with him in a duel. When his fretful mother finds out, she reveals a family secret in a last-ditch effort to try to talk him out of the competition. In the meantime, Carly is forced to endure and prepare for an upcoming visit from some embarrassing, ultra-geeky relatives. A television programming director realizes that iCarly is funnier than anything his network currently has available for the upcoming fall lineup. 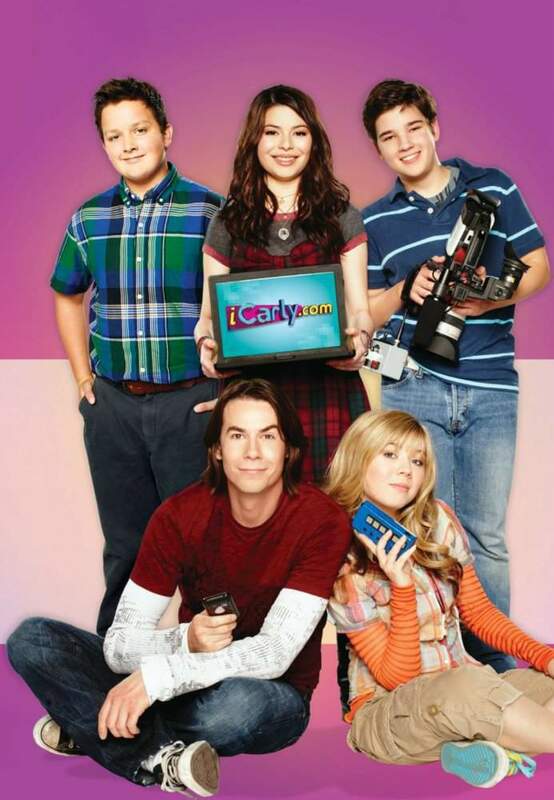 Unfortunatley, upon acquiring the show, the network takes it further and further away from Carly's original vision, and exploits and torments Freddie more than Sam and his mother combined. Lauren Ackerman, Carly's history teacher has become an emotional wreck after her boyfriend dumps her, and she takes her heartache out on everybody in class, including Carly. When Spencer discovers her agony during what passes for a parent-teacher conference, he decides to be her new knight in shining armor and fills the hole in her heart. Though things go smoothly for Spencer, Miss Ackerman, and her class at first, soon Spencer, Carly, Sam, and Freddie find that it's going to take a lot more than just a little loving to keep the teacher happy, and her class safe. A local bakery/restaurant makes pies that Carly, Sam, and Spencer all love, and Freddie finds out is pretty good too. When the owner dies and the store is on the brink of closing, the recipe for their favorite pastries may end up being taken with him to his grave. Now she and her friends desperately scramble to find the recipes and keep the shop open, when they're not on the verge of scarfing down the last decent piece of pie they'll ever have. Surprise, surprise! Sam has a twin sister named Melanie. Even more of a surprise, she's much girlier than Sam and quite fond of Freddie, who suspects that she's actually Sam in disguise. 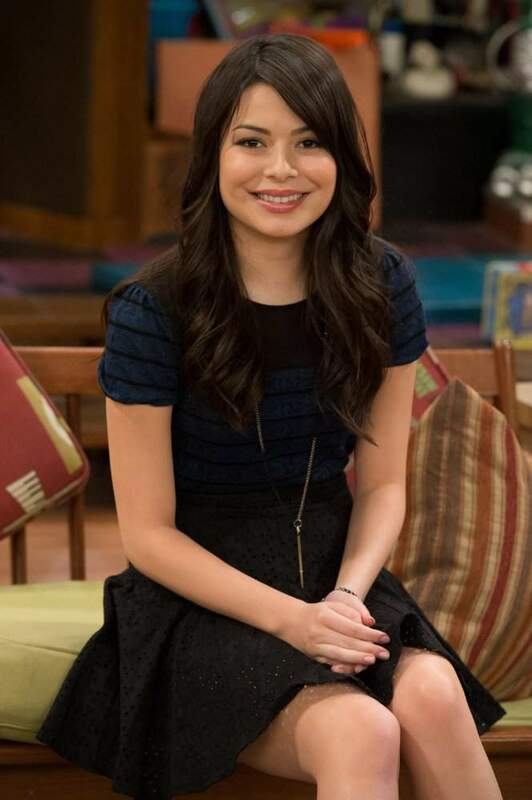 In the meantime, Carly offers to tutor a boy named Chuck, who has been a sworn enemy of Spencer, who struggles to convince her that he's a little brat. 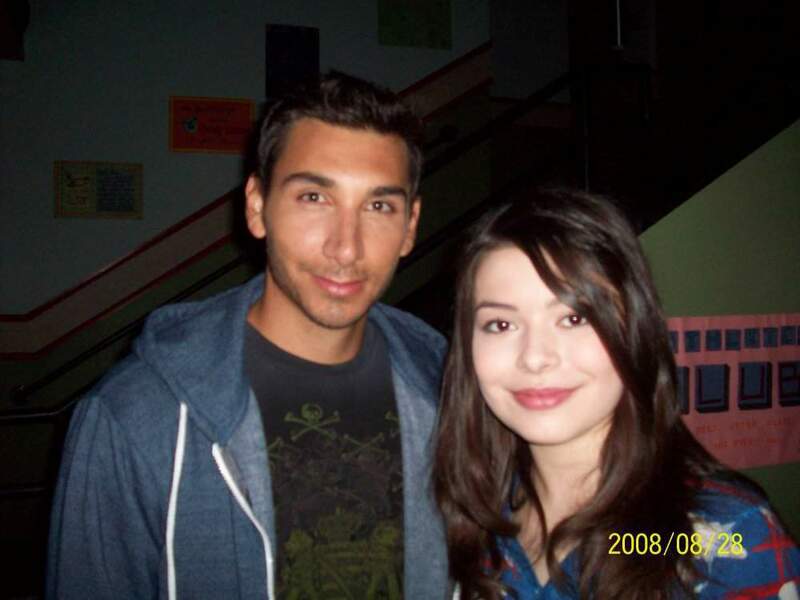 Carly and martial-arts champ Shelby Marx (Zoey 101's and Spectacular! 's Victoria Justice) agree to have an exhibition fight for charity after Carly jokingly challenges her to a match. Unfortunately, Carly accidentally falls on Shelby's grandmother during a press conference. Thinking Shelby wants revenge, Carly backs out of the fight, only to be ridiculed as a coward. Carly visits Shelby and apologizes, and the fight is back on. However, Nevel Papperman alters a clip of the press conference to make it look like Carly intentionally tackled Shelby's grandma to dupe Shelby into fighting Carly. Shelby, furious, attacks Carly for real during the match, Carly then holds Shelby's leg for the rest of the "fight". 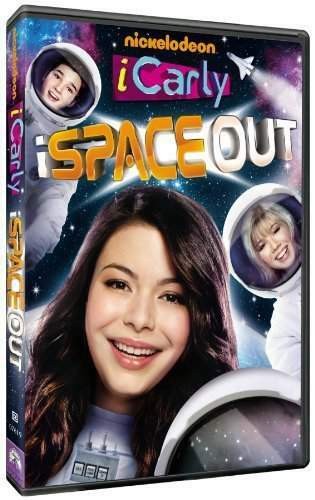 A broken tooth for Sam and a trip to the dentist requiring an excessive amount of nitrous oxide, leads to the revelation of a deep, dark secret that shakes the relationship of the entire iCarly cast and crew. Meanwhile Spencer offers to teach art to some prisoners in the hope of weaning them away from a life of crime... with disastrous results. Carly and Sam use Spencer's spaghetti taco recipe in a competition with a TV Chef, and defeat him on his own show for the first time, sending him into what would seem like an inescapable depression. When they find out how severe his funk is, they try to help him out of it. But will their good deed lead to good rewards, or unleash the hidden wrath of a madman? After Carly & Sam agreed to help Fleck and Dave make a video, Carly and Sam must choose sides when the comedians begin to fight. Fleck keeps infuriating Dave's restrictive father much to Dave's dismay, and the girls are drawn into the conflict. A deep dark secret is revealed about Sam... she used to compete in CHILD BEAUTY PAGEANTS! Plus, now that an old nemesis from her beauty pageant days has arrived for another tournament, she drafts Carly to compete against her. Meanwhile, Spencer convinced Freddie to go on a double date with some girls, which doesn't exactly go the way he plans. When an heat wave hits Seattle and knocks out the power, Spencer buys an exotic air-conditioner/generator that brings all kinds of unexpected visitors. Meanwhile Griffin (see episode #2.15; "iDate a Bad Boy") returns and decides to date Sam, thinking it will make Carly jealous. This synopsis is too short and may not include the required detailed description of the entire plot. We normally require that synopses be at least 10 lines long. If you have seen this title, please help us by improving and expanding this synopsis. Spencer, Sam, Fred, and T-Bo throw a Birthday Party for Carly. Spencer makes Carly a gummy-bear lamp for her birthday, but it causes a fire and leaves her with a charred bedroom. Thanks to a large amount of insurance money, Spencer, Sam, Freddie and Gibby surprise Carly with a special bedroom makeover. Later, Gibby's barber grandfather comes to the loft to give Spencer a haircut, despite having poor eyesight. After some fans submit a video of a prank to the web-show, Carly, Sam and Freddie discuss pranks they've pulled in the past, and Carly begins to feel self-conscious about never having pulled any of her own. When she asks Spencer to help her pull one on Sam and Freddie, it sends him on a pranking rampage the likes of which Seattle hasn't experienced since he was in Junior High School. 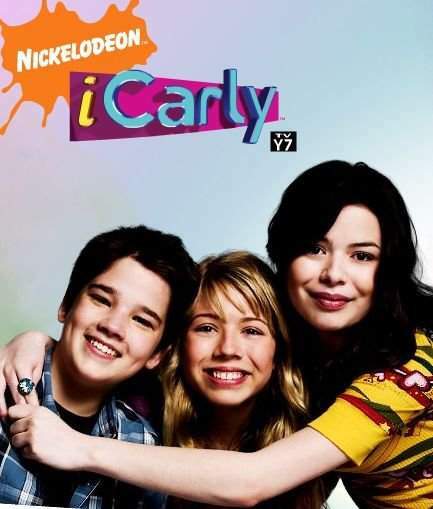 A young adult iCarly fan wants to use the site to ask his girlfriend to marry him and the happy couple invite Carly and her friends to the wedding, which falls apart when the bride-to-be falls for Spencer. Now Carly and Sam must struggle to convince her to marry the man she was engaged to in the first place. Meanwhile, Gibby and his little brother Guppy try to grab a $5 bill that's stuck up in a tree. Carly, Sam, and Freddie finally get to attend a Webicon(see episode #3.17; iPsycho), and take Spencer with them. However when they arrive, Spencer meets an old nemesis, and the web-hostesses find themselves caught in a heated rumor over which of the two girls are dating Freddie. An online video of Nevel Papperman verbally abusing a little girl in a supermarket makes him one of the most hated kids in the world. 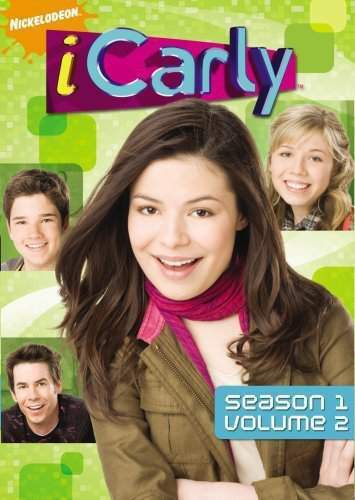 With nowhere else to turn he attempts to seek help to restore his reputation from the most unlikely source... his sworn enemies, Carly Shay and her friends! Sam is as normal as can-be until Freddy starts hanging out with his friend Brad.Then Sam suddenly wants to hang out with them. During a lock in, Brad and Freddy test out an app on Sam. The app says Sam is "in love." 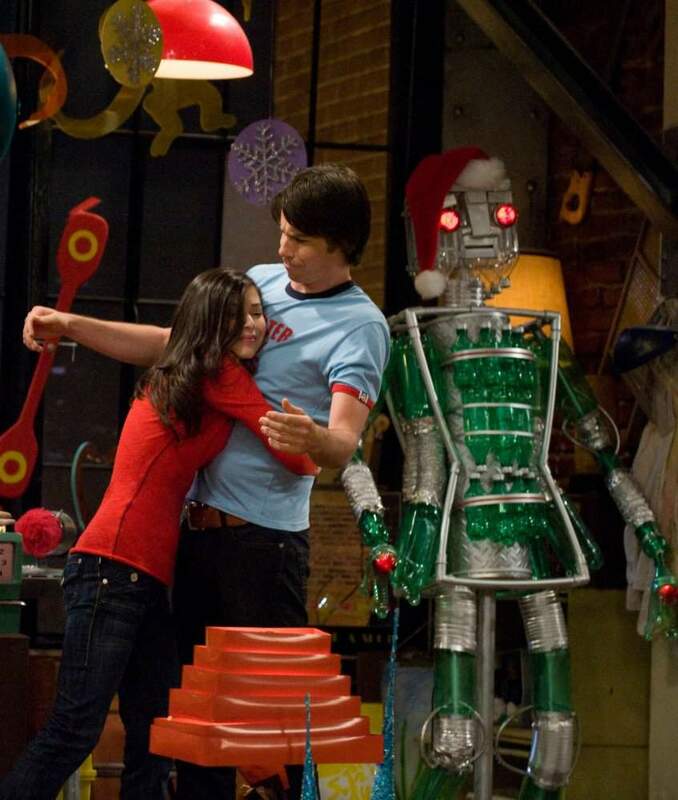 Then, Carly and Freddy try to hook Sam up with Brad. Then Freddy discovers who Sam is in love with. Three days after the events of "iOMG", Carly tries to find out where Sam is who she hasn't seen since the kiss between her and Freddie. Freddie arrives who locates Sam being at a mental hospital by tracking down her Pear Phone. There, Sam reveals that she checked herself into the mental hospital unable to cope with her feelings towards Freddie. After a talk with Freddie, she is ready to leave but isn't able to since she needs a parent to sign out. However, Sam's mother is away getting surgery. 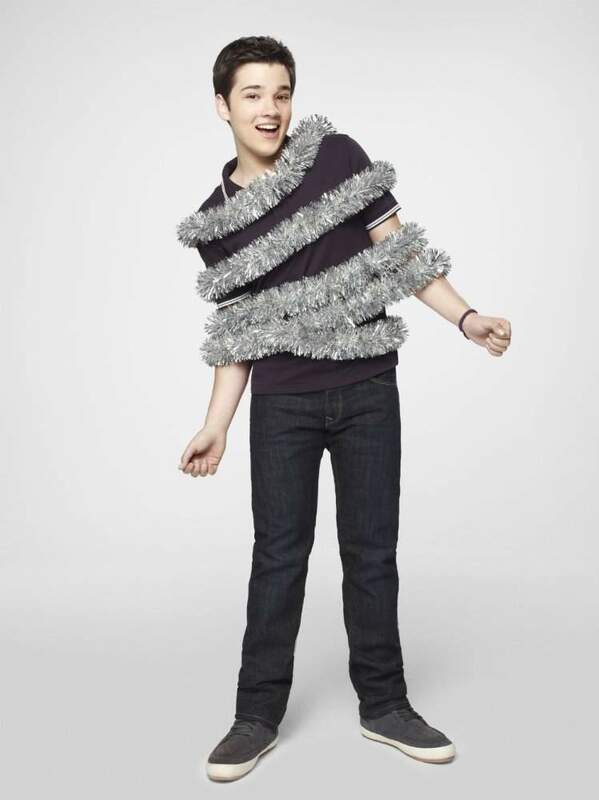 To get her out, Carly and Freddie decide to have Spencer dress up as Sam's mother but his cover is quickly blown as he signs Sam out by an old friend of his from law school who doesn't understand the situation. 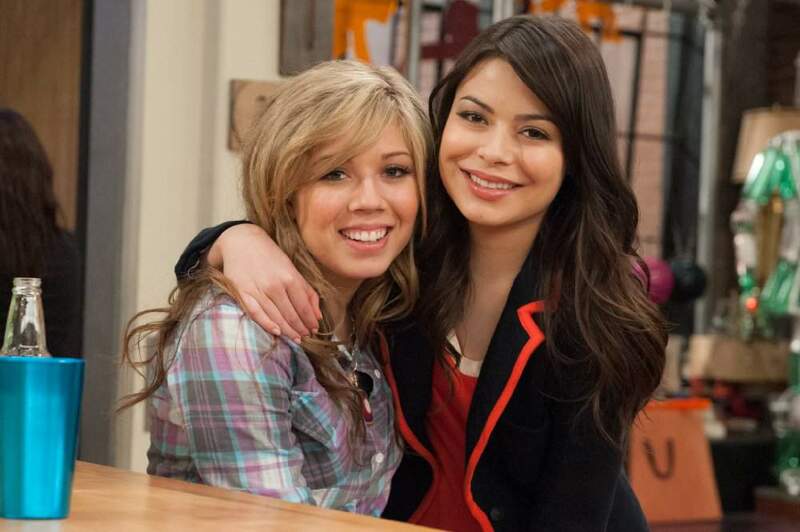 Unable to get Sam out in time to do "iCarly", the gang does the show live from the mental hospital where Carly and Sam questions their fans on whether or not Sam is crazy for kissing Freddie. Freddie then tells how he feels and passionately kisses Sam. After the events of "iLost My Mind", Sam and Freddie begin a rocky relationship, but problems circulate around Carly when she has to resolve their every fight (even one at 3 am). Meanwhile, Gibby finds a puppy and he wants to share it with Carly, in an attempt to get closer to her. 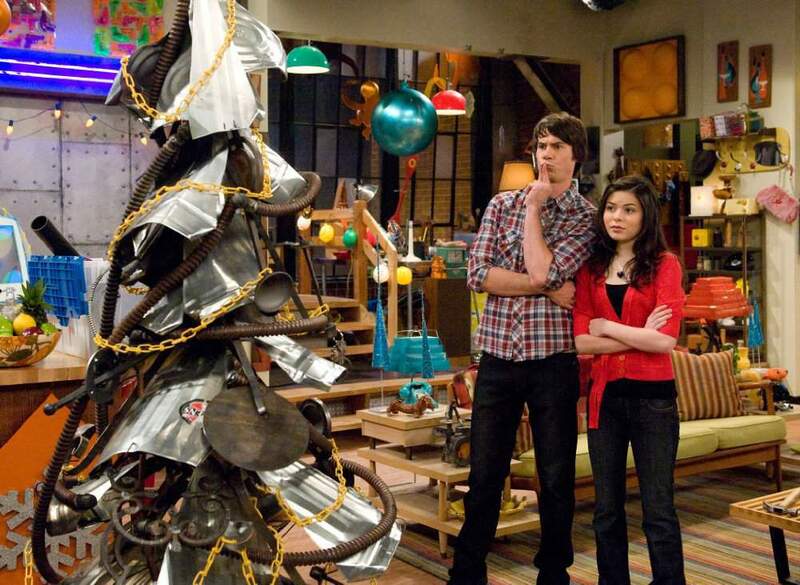 At the near end of the episode, Freddie and Sam go on a date, but take Carly with them to resolve a fight if they get into one. After Sam and Freddie criticize each other, Carly steps in and tells them "if they can't go one day without arguing then they shouldn't be going out at all." Spencer spends time hanging out with his new lawn in the apartment. 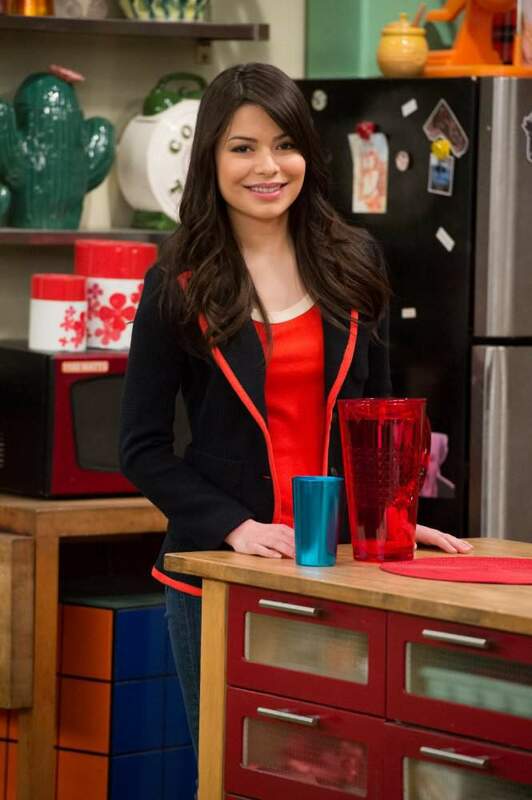 Freddie decides he'd like to go in front of the camera, while at the same time creates some new 3-D effects for Carly's web-show. The trouble is, those special effects have some unforeseen side effects. Carly returns home sick after a trip and discovers that One Direction has accepted an invitation to perform on their web show. 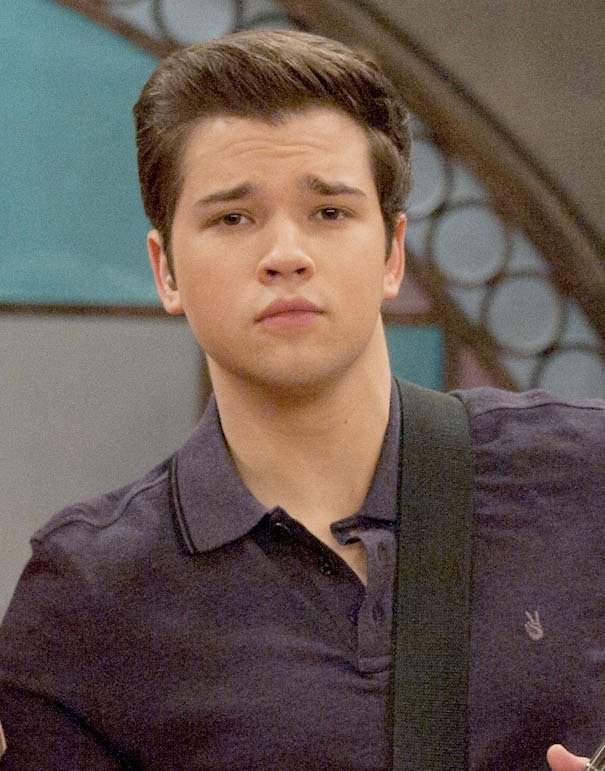 Not long after arriving, band mate Harry becomes sick and we see Carly doting over him. 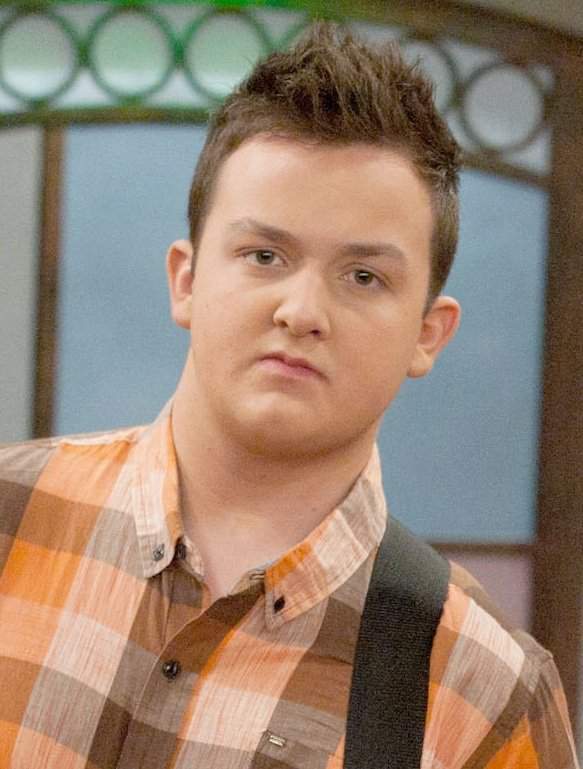 Realizing Harry is playing sick for the attention, they hatch a plan to get him back in the group by telling him Gibby has become their newest band member. Meanwhile, Spencer becomes a personal trainer and gives a bratty girl a makeover. 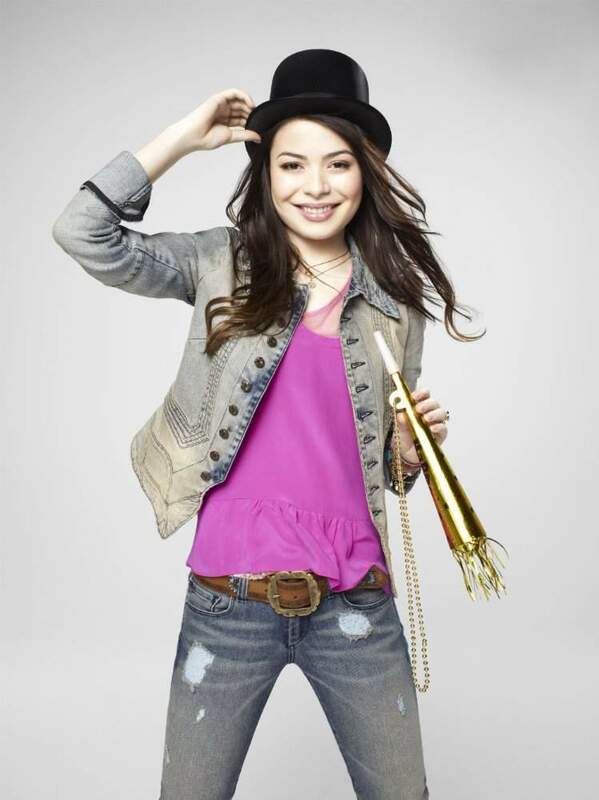 The iCarly Crew performs sketches on their show that spoof those on "Late Night with Jimmy Fallon," which the host finds so impressive, that he invites them on his show for a rare live performance. 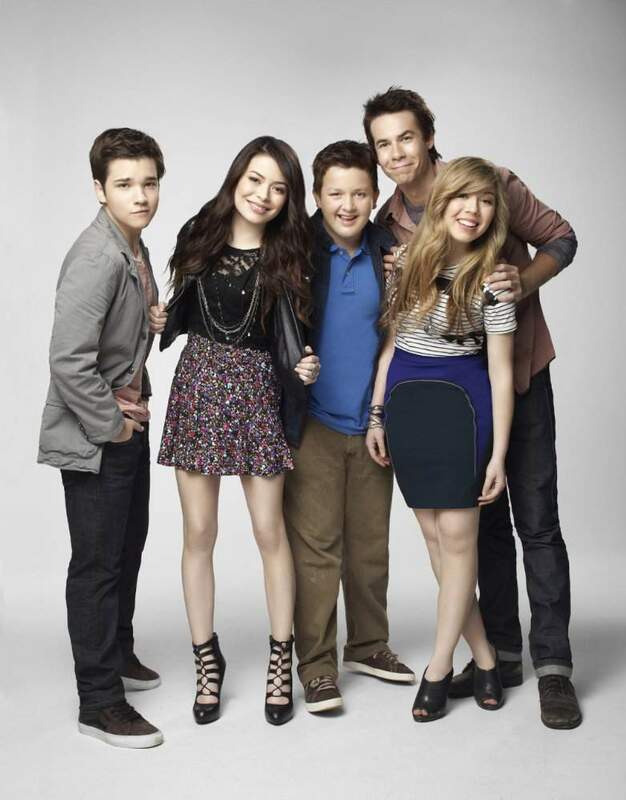 Thanks to some of Gibby's usual misfortune however, the cast of both shows almost gets in trouble.